With the advent of the new techniques and skills; each and every field of activity gets an elevation and up gradation. The same is true for the SEO industry as well. Here are 30 fabulous SEO techniques with which you can do wonders. Redirection with 301 Response Code – This response code is a fantastic way of redirecting all of your online links to your new site or pages if you are migrating one to another. Along with redirecting the existing links which are connected to your pages it is helpful to maintain them in a proper way. Once you have 301 for any URL, after that whenever anyone clicks any existing link he will be automatically redirected to the new page where you want them to be. Update XML Sitemap and HTML Sitemaps – Sitemaps are an integral part of any website. These sitemaps are the list of the pages of any website which is given in a hierarchical manner for the crawlers or users perusal. Both HTML and XML can be used to create a sitemap. A sitemap created with XML is generally aimed to facilitate the search engines and crawlers and is a structured one while HTML sitemaps are used to give the users a better site experience. Create Robots.txt – Robots Exclusion Protocol or robot.txt is generally created to stop the web crawlers from visiting your site or some particular pages of your website. Two salient advantages which one can get by generating robot.txt for his site are keeping your site safe from the malware robots and email harvesters who can spam your site, because they pay no attention to this kind of site and due to its visibility anyone can check that which section is barred from visiting for the robots. Use of Meta Tags For Your Contents – Meta tags are though not very integral technique for the rankings but it is very important for gaining more visibility of the contents through SERPs. These HTML attributes are very essential in explaining the contents to the viewers in short. It can be regarded as the cover letter for your webpage contents. Presence of organic keywords and appealing yet crisp description is what makes a Meta tag impeccable and an integral medium for the webmasters to create opportunity for advertise. 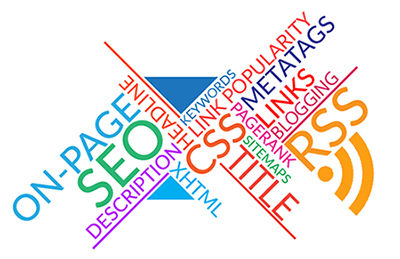 Uses of Organic Keywords in Title – keywords are the main backbone for both the contents visibility and creating more scope for the web crawlers to find the contents. The keywords if used in a proper way it can be fetch numerous visitors to the pages. It’s the best way to increase the visibility of the contents to use the keywords in the title of the content but to that one should first refine and create keywords according to the target audience, commercial intent, based on relevance, search volume and competitiveness. Using H1, h2, h3 Primarily – H1, h2, h3 tags or in lame man’s language which is known as the header tags, are very important for the SEO and optimization of the contents. As the name suggests it can be easily understand that it is used to segregate the content from rest of the site. The advantage of these tags which starts from H1 and can go up to H6 are relevancy, ease of finding the information for the readers, keywords consistency, etc. Working with ALT Tags to All Images – all tags or alt attributes are a wonderful idea to provide the readers the short and crisp description about the images. This situation can occur if the viewer using a browser which can’t able to load pictures or where the display is disabled. In these circumstances alt tags play a pivotal role in describing the contents of the pictures to the viewers. It is even helpful for you to reach the users who use the screen readers or who are visually impaired as well. Provide Internal Linking to Long Tail Keywords – long tail keywords as all know are to the point, niche search phrases consisting of a set of keywords which is capable of offering the user low competition and search volume but high search intent. So as the long tail keywords are the best suited for the contents visibility so it is most important to give them internal links because an internal link can improve a site’s SEO. The internal links create internal page credibility and works as a bridge between your site and other pages by using destination pages keywords. Blog Snippet on Home Page Footer – creation of blog snippets on home page footer is another wonderful and most popular technique of search engine optimization. Creation of snippet is important because with the help of the webmaster can create summary of the content on that page and with the help of which crawlers can find the contents. If the snippets are misleading and spammy or abusive in nature then crawlers simply ignore alternatively rich snippets can make it easier for the algorithms to find content easily. Use of Copyright Not in The Footer – copyright is one of the important parts which many don’t want to consider while creating their own content or pages. But its effectiveness is innumerable. The copyright note should be placed in the footer as it is humble gesture in stating your claim on the contents or graphics, etc. while you posting them on the public domain. This effort is very helpful in the long run and to discourage the potential plagiarists and define your claim. Create Schema Code for All Images and Videos – schema codes are around for years but mostly ignored by the developers previously. But now it’s getting its pie. Actually the schema is a microdata which help the search engines to interpret the websites contents more effectively and makes it easier for the crawlers to find the results based on their queries. Creating schema for images and videos are important because it makes them friendlier to the crawlers and makes it easy to find. Create Videos-Sitemap.xml and Submit in Google Webmaster Tools – though there are various ways to create your sitemap but unarguably one of the most popular ways to create the same with the help of XML. It’s a fact that now the leading search engines like Google want you to make your video sitemap for the embeds that you include in your site. As sitemap created with the help of XML is more preferable for the crawlers to find the contents easily so it is advisable to create sitemaps for all your embeds sitemap with XML while submitting them to Google webmasters tool. Update Contact Address and Phone Number – website is generally created as the means of proving information to the viewers about your product or services and to generate more traffic and transform your potential customers into real ones. In order to give proper information the means of communication i.e. contact numbers or addresses should be given in the website in due manner. But not only providing the number will going to help your cause but keep them updated is also essential and helpful as well for SEO. Make Your Site in Responsive Design – designing of a website is very important for proper SEO and drawing more traffic. A responsive design means that a website designed and created in such a way that all the contents, images or graphics and the structure of the website is remains same and look same in any device. A responsive design of a website helps the site not to retract to fit in any kind of devices like smartphones or tablets and increase the visibility of the site and better optimization. Improving of Your Page Speed – page loading speed is very important for each and every website. It especially matters the most for the business websites. Sites with higher loading speed always perform better, able to generate higher search rankings, better user engagement and above all superior user experience which are very much required for the better revenue and more traffic generation. It’s always best if your pages have a loading time of 1 second but it still manageable and able to give you good return if the speed is between 3-4 seconds. Check Broken Links and Fix It – it is unarguable the checking the broken links and fix them up is a chore which most of the web developers ignore most. But as a owner of the site you should know the fact that a broken link can resulting you less traffic and less ROI, because if your user click on a link and landed in 404 page, then he will definitely come into conclusion that you don’t care about your contents and if you are not giving importance to your contents then why should your readers do? So checking of the broken links and fixing them makes your site more appealing. Check HTML Improvements in GWT and Update – Google Webmaster Tool or which is commonly known as the GWT is a very handy tool offered by the Google team to check the improvements and functioning of a website or contents like blogs. With the help of it a blog owner can know the reputation of his blog in the eyes of the search engines and that’s the reason it is very important to know the HTML improvement by which one can check the duplication of content and update accordingly to get more visibility. Update Social Icons in Your Website – In the world of internet today social media plays a pivotal role for the optimization of the sites or any contents like blogs. So SEO of a site or for building reputation is unthinkable without the help of various social media platforms today. But to link your website more prudently and making the visitors of the site redirect to your social media contents it is utmost important to update various social media icons in your website properly. Apply Google Authorship – if you want to fetch good results in click through rates then Google authorship is unarguably one of the most important techniques that you should consider. Google authorship is an amazing concept developed by the flagship company in providing the creator or owners of the contents claim your stake and make your creation more personalize. It also helpful in introducing the hand behind the creation to the mass and can change the game for you. Search Engine Submissions – after creating a website a webmaster should submit the site in the search engines like Google, Yahoo or Bing. The process of submitting a website in search engine is known as the search engine submission. One can submit their site in the search engines by following two ways, first by submitting the homepage of the site or by submitting with the help of the sitemap. It is necessary to update your site in the search engines or if you can’t wait to unearthed your site by the crawlers of the search engines and wants a faster result. Submission in High Authority Local Directories – submission of your site or contents in the directories can brings you many fruitful results. High authority directories are most search engine friendly sites where if you submit your sites it will be easier for the crawlers or spiders to find your contents pages easily and in that way draw more traffic to your site. As in most of the cases it is free and easiest ways to generate a link for your site, so it is revered as one of the helpful mediums to optimize your site. Local Listing of Your Site – the main aim for the business site is to generate more traffic and fetch more revenue for the owners to provide him with a better ROI. Though earlier the sits are mainly aim to create more customers who are untraceable and reside far away. But now the concept of local listings change the scenario altogether. With the help of local listings now along with drawing the potential traffic, introduce local customers with your business and establish your entity. High Authority Social Bookmarking Sites – social bookmarking sites like propeller.com is now showing a surge in use. The positive effects of these kinds of site are outstanding for the owners of the new sites blogs or other sites as well. With the help of votes, likes and user generated tags a site can optimized in a better way than other conventional techniques today. 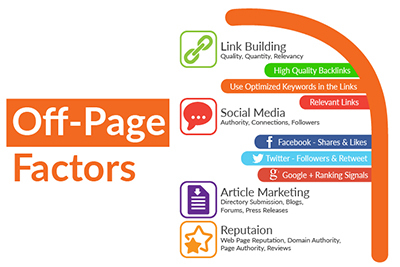 With the help of this process one can introduce his site to the people with relevant tastes, drive more traffic and crate more and valuable backlinks. Google Plus Regular Posts – Google plus, the social media outlet by Google is one of the most important platforms for keeping your social media presence alive and help in managing your brand reputation as well. with the regular updates in the Google plus one can bring back numerous advantages like keep better rankings as with the help of active social media presence and can create outstanding brand awareness, because Google plus is one of the major player in this arena and a higher social signal helps your site achieve a better position in SERP. Article Submission in Ezine – contents like blogs and articles are one of the conventional ways to generate more traffic to your site and sometimes it helps to get more direct visitors as well. But you have to submit your articles in such a site which only prefers to post the most optimized articles. Ezine has a name for it and submitting articles here definitely creates a lot of buzz for you and generate traffic and help you to create more backlinks for your site. So getting an approval of your site form this open directory project behemoth is always essential for better optimization. High Authority Presentations Like Scribd, Slideshare – PR sites like scribd, slideshare fastly becoming one of the best ways for the search engine optimization of a site and creation of backlinks. The reason behind this though unknown to the most of the people but very effective because Google always consider these kinds of document sharing sites as high authority and thus it helps to boost your site’s SERP rankings. So this secret yet wonderful recipe can give your site more optimized results and increased traffic. Use of Info Graphics – info graphics are the visual representation of the data which is uses to make the complex information easy and digestible to the viewers and make them understand your message more clearly in visual chunks. So with an ideal and perfect info graphics one can serve both the purposes. First it can make things simplest and easier for the visitors and on the other hand due to the solid and proper content used in this can go far beyond rankings and fetch numerous benefits. You can always add latest and relevant SEO techniques like start rating, Authorship without hassle. PDF Submissions for SEO – there are numerous sites like Slideshare, Issuu, Scribd, 4shared and divshare which are known for the PDF submissions. Submitting your content in the form of PDF is an excellent way of off page SEO and best way to promote your site online. This process of creating contents is also helpful in generating backlinks and drawing more traffic with the help of it. In order to get success the content has to be search engine optimized. How to Discuss About Competitors for Strengthening Social Marketing of Your Company?